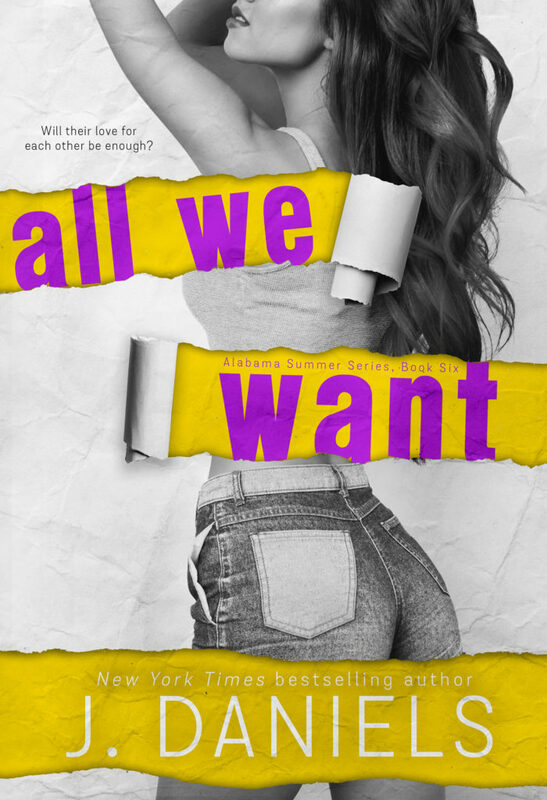 ALL WE WANT, the sixth installment in the Alabama Summer Series from New York Times Bestselling Author J. Daniels, releases on November 12th, and we’re thrilled to bring you the cover today! Sign up for an alert when the book goes live! Sign up for her newsletter and get special offers and exclusive release info!